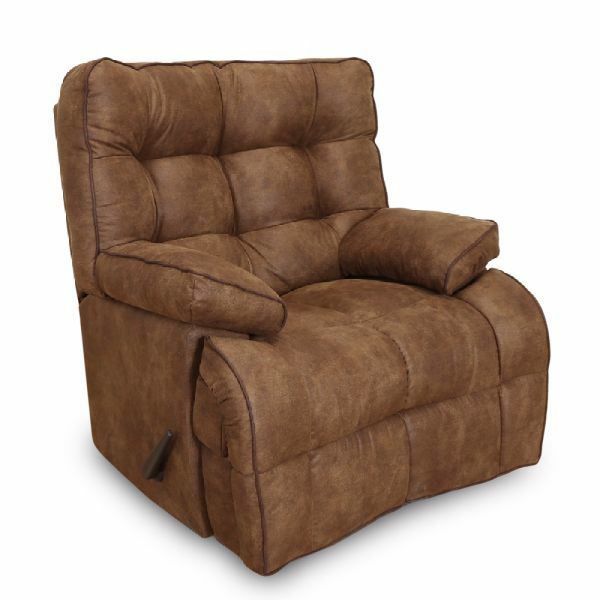 The Venture Rocker Recliner offers pillow top arms and ultimate comfort, upholstered in Endeavor Elk natural suede leather look, overprinted with a textured pattern. Muted coloration adds both depth and character to this casually, comfortable fabric. Smart features include: Swivel, power recline, and integrated USB port.